Owen Piazza (left), 9, and Kyle Hartmann, 8, both of Sycamore run to second base during a base running drill at a baseball clinic on Saturday, July 19, 2014 at Sycamore Park. 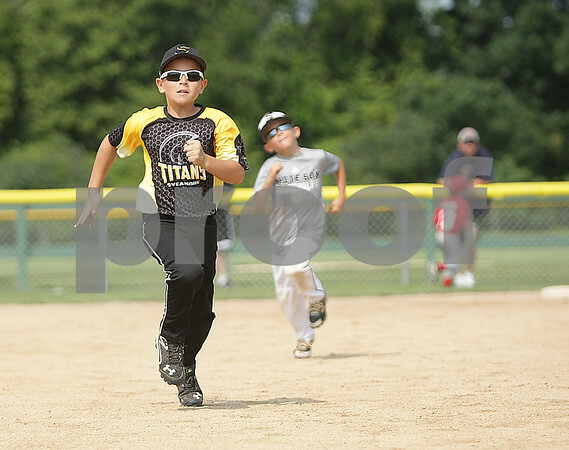 The clinic was put on by more than a dozen players from the Major League Baseball Players Alumni and sponsored by Hanover Insurance and Crum-Halsted Insurance Agency in Sycamore. About 256 kids ages 6-16 participated in the free baseball clinic.